You are eligible to vote if you have been a member of the Green Party of Canada for 60 days prior to the nomination meeting. But all are welcome to attend and otherwise participate. See you there! 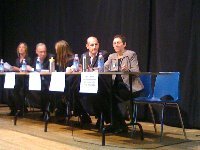 You are invited to attend the Toronto-Danforth Federal Green Party Association’s 2008 Annual General Meeting. I’m so sorry for the late invite. We’ve been a little busy at the campaign office these last few days ensuring that your hard work during this campaign turns into vote after vote after vote. 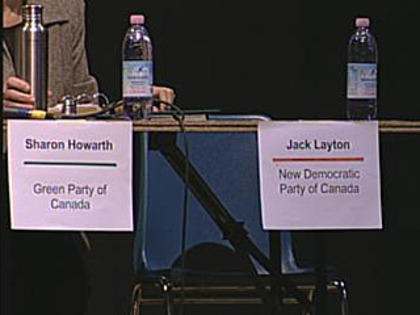 An empty chair represents Jack Layton, who didn’t show up at his own all-candidates debate last night. Citytv reports on the feelings of local residents.